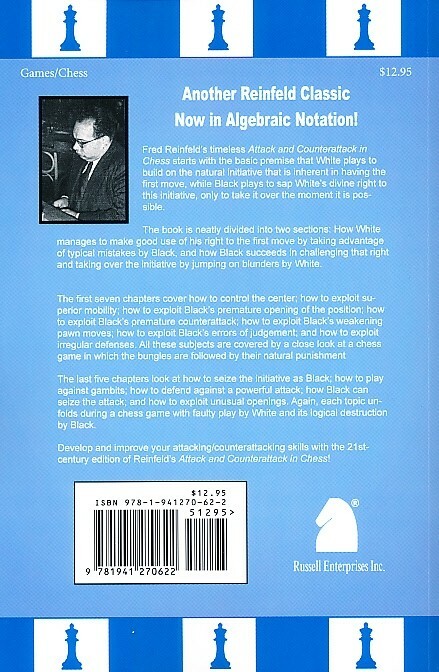 Fred Reinfeld's timeless Attack and Counterattack in Chess starts with the basic premise that White plays to build on the natural initiative that is inherent in having the first move, while Black pplays to sap White's divine right to this initiative, only to take it over the moment it is possible. The first seven chapters cover how to control the center; how to exploit superior mobility; How to exploit Black's premature opening of the position; how to exploit Black's premature counterattack; how to exploit Black's weakening pawn moves; how to exploit Black's errors of judgement; and how to exploit irregular defenses. All these subjects are covered by a close look at a chess game in which the bungles are followed by their natural punishment. 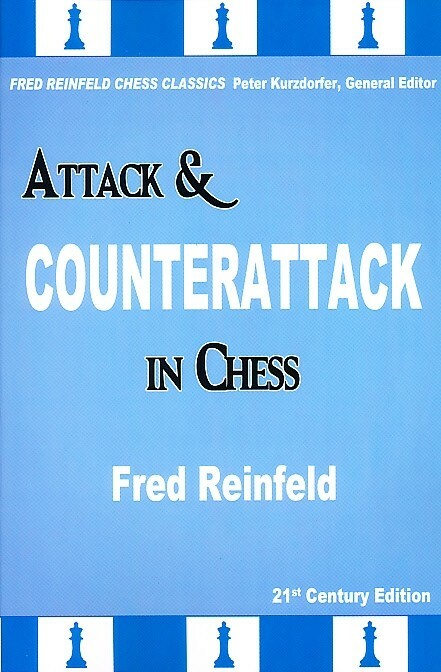 Develop and improve your attacking/counterattacking skills with the 21st century edition of Reinfeld's Attack and Counterattack in Chess!